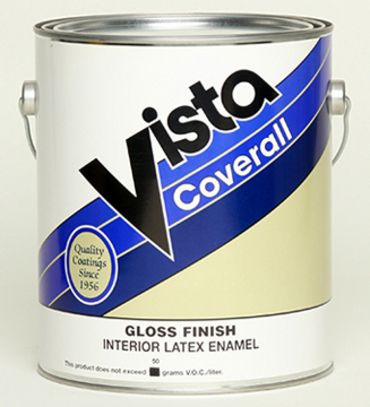 Coverall Latex Gloss is a quality interior acrylic enamel which provides excellent scrubbability and washability. Designed for use on commercial, institutional, property management projects and new home contruction wall and trim. Recommended Uses: Properly primed new and existing interior drywall, plaster, concrete, masonry and wood. Not recommended for wood cabinets. For a block-resistant enamel use Carefree Gloss.